Parenting is a funny thing because you have your personality and communication tactics, and then this tiny human comes into your life with its own personality. And if your experience is anything like mine, you get a cute little thing with curly hair, big doe eyes… and the stubbornness, combativeness, and stamina of an MMA fighter. 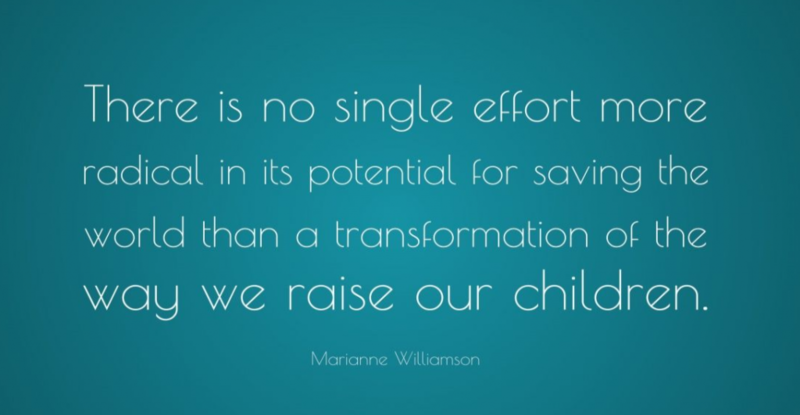 In comes positive parenting. I like to challenge myself, and boy was this a challenge! Read on for three tactics I employed over the course of the month and how it turned out for me. I realized that so much of my response has to do with my own emotions. If I’ve had a long day at work, if I’m feeling down about something, and most commonly, if I’m exhausted, I’m short-tempered. It’s rare that I will get angry enough to yell, but it comes out most often in the tone of my voice. My kids can absolutely hear the negativity, and unfortunately, it only makes things worse. If I’m short fused, my daughter seems to enjoy stretching me to my limits even more. So this month was all about checking myself . Only one of us is biologically capable of controlling our emotions right now, so it was on me to do so. It really wasn’t as hard as I thought it would be. I focused on two things here: consciously thinking about how I’m responding, and withdrawing from the moment if I let my emotions get the best of me. I found far fewer tantrums escalated unnecessarily, and I was able to take a step back and regroup when I wasn’t able to control my own anger. I’m a proud multitasker. I shamelessly handle many things at once. It’s a strength I’m known for. But I realized that my evenings were often spent simultaneously cooking dinner, prepping lunches, and often “unwinding” over dinner while browsing social media or catching up on some bookmarked articles. But it didn’t take a child psychologist to realize that my kids were practically begging for my undivided attention. Carving out even 10 minutes of complete attention on the kids, with no phones, no household maintenance, no television, made a huge impact on my daughter’s attitude in particular. Coming to terms with it felt a little awful, to be honest. In an attempt to maximize efficiency I was missing out on an important opportunity to satiate my kids with the love and attention they deserve and desire. When my time is so limited in the evenings, and I’m desperate for some me time, it was easy to excuse my behavior in the name of some down time. It doesn’t have to be every night and I’m not a horrible mother for browsing Instagram while building blocks with my kids every now and then, but a simple change made a big impact in our evenings. This fully depends on age and the child’s personality, but my now four-year-old daughter is highly communicative and fairly self-aware. When things started escalating, I found that getting on her level (literally) and asking if she’s feeling upset, hurt, frustrated, hungry, allowed her to see that I was more focused on her feelings in the moment rather than the behavior I was trying to correct. This is where I had the biggest one-eighty in behavior. I’m no professional, but I’m confident that when I realized that there is always a “reason” behind her tantrums, however arbitrary I might think they are, and showed her I was focused on her, her behavior changed. 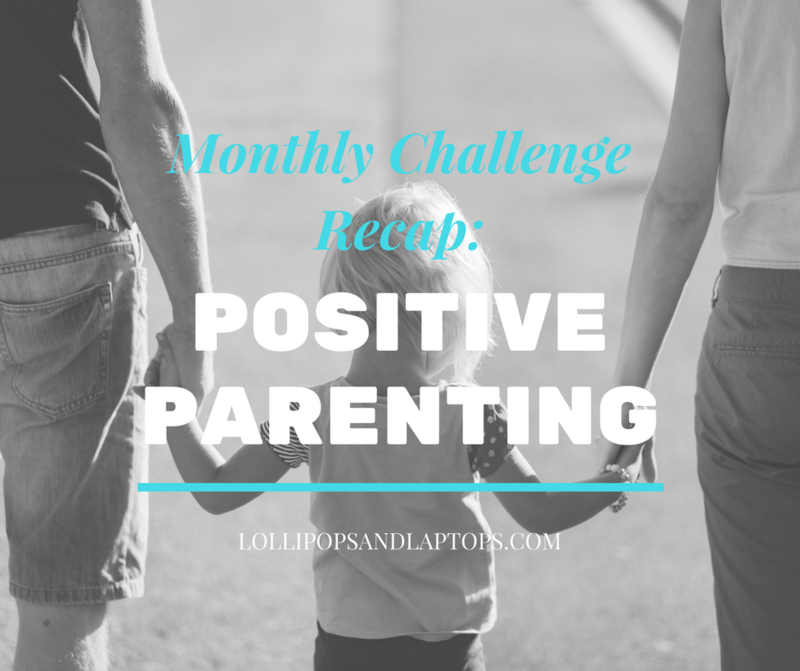 I’ll admit that when I first heard about positive parenting, I thought about it in a very kumbaya sort of way where there is a complete lack of discipline. And as a parent of a very strong-willed, opinionated, and dare I say it–manipulative–child, I was worried this had disaster written all over it. But that is not what I found. My version of discipline, which I can best describe as giving her warnings, explaining the potential consequences, and giving her an opportunity to correct it once she’s ignored the warning and seen the consequences, did not change. The delivery is what changed. I haven’t perfected this method, and it doesn’t seem to be working perfectly across all scenarios with both children. But overall this was a huge improvement in everyone’s mood, and I can say with confidence that we have definitely had a decrease in tantrums and communication breakdowns.